As a military hero and subject of an Oscar-winning documentary, as well as a distinguished corporate CEO, Joseph B. Anderson is one of our most successful and inspirational leaders. Drawing from his military and corporate careers, Anderson will share, in an intimate event setting, his unique insights on overcoming career and life obstacles. He will also speak about his early life and how it impacted the course he took as an adult. Anderson captivated the audience at the 2014 MSED Gala dinner where he received our Lifetime Achievement Award. We are pleased to have him join us again this September to share his story. This Oscar®-winning documentary confronts the realties of war--any war. The Anderson Platoon was an integrated combat unit in Vietnam led by an African-American West Pointer, Lt. Joseph B. Anderson. In 1966, producer Pierre Schoendorffer and his cameraman spent six weeks filming the men of the Anderson platoon as they ate, slept, fought, and died. The soldiers' faces say much more than words ever could about the tension, frustration, anger, and stark realties of war. Joseph B. Anderson, Jr. was born in Topeka, Kansas, graduated from the United States Military Academy in 1965, with a bachelor of science degree in math and engineering. He subsequently received two master's degrees from the University of California, Los Angeles in 1972 and 1973. Mr. Anderson attended the Army’s Command and General Staff College in 1977. He also is a 1984 graduate of the Harvard Advanced Management Program. 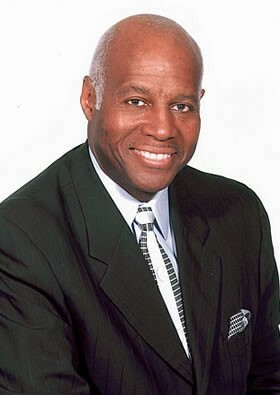 In June 2007, Mr. Anderson received an honorary doctor of management degree from Kettering University. During his military career, Mr. Anderson commanded troops as an infantry officer in the 82nd Airborne Division and served two tours of duty with the 1st Cavalry Division in Vietnam. In addition to troop command, he served as aide-de-camp to two general officers, and was an assistant professor in the Department of Social Sciences at West Point. Mr. Anderson and the infantry platoon he commanded in Vietnam were subjects of the highly acclaimed documentary film "The Anderson Platoon," which won several prizes including an Oscar and an Emmy for Best Documentary Film of 1967." Mr. Anderson's military awards include two silver stars, five bronze stars, three Army Commendation Medals, and eleven Air Medals. He resigned his commission in 1978, after 13 years of service and early selection for promotion to Lieutenant Colonel. In 1977, Mr. Anderson was selected to be a White House Fellow and worked as special assistant to Secretary of Commerce, Juanita Kreps. Following his White House Fellow Year, he continued to work for Secretary Kreps until he joined General Motors in 1979. Mr. Anderson began his career with General Motors in 1979 at Pontiac Motor Division. In March 1981, after several manufacturing assignments, he was named plant manager of the Pressed Metal and Plating Operations, Pontiac Motor Division. After three years as a plant manager, Mr. Anderson held several staff assignments until April 1989 when he was appointed director of the Exterior Systems Business Unit, Inland Fisher Guide Division of General Motors Corporation. MSED Event Cancellation Policy: Cancellations will be accepted until 5pm on Thursday, September 10, 2015. Cancellations received by this date will be refunded less a 10% administrative fee, with a minimum charge of $5. Refunds cannot be issued for cancellations received after this date; however, substitutions for another person to attend in your place are gladly accepted.